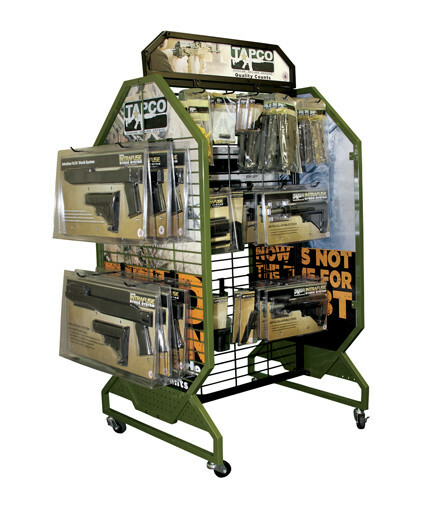 A great example of our custom knock-down point of purchase displays, this 4-sided mobile store fixture features a heavy-duty metal tube frame on castors, removable hooks, and a prominent 2-sided digitally-printed header and side graphics to merchandise TAPCO’s line of militaria and weapons gear. 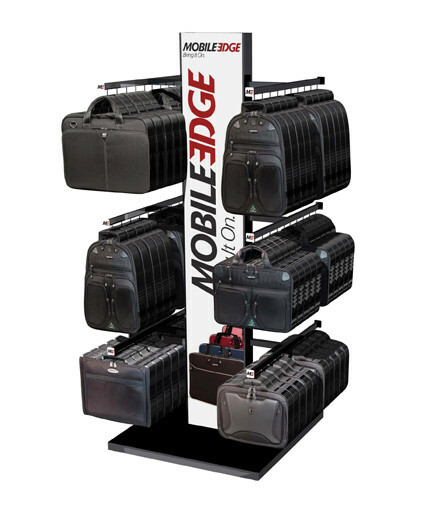 These eye-catching and affordable retail displays fit a wide range of retail environments and stand out from other store displays by virtue of their custom camouflage powder coated finish and merchandising flexibility. 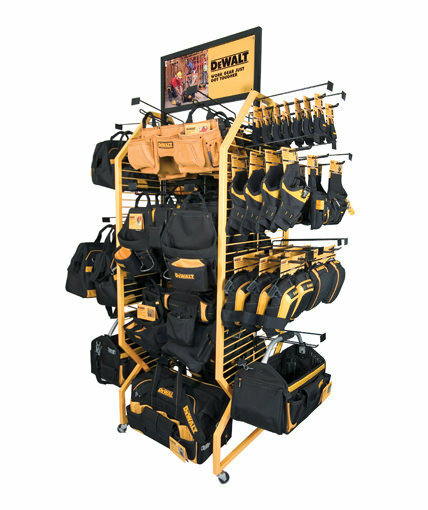 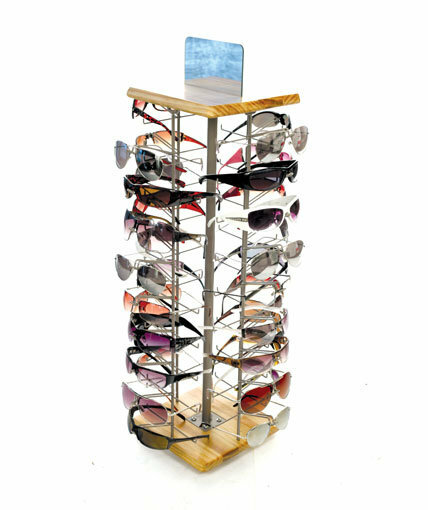 These retail displays can be used to merchandise a wide range of products- from apparel to toys, sporting goods, and almost any kind of packaged or pegged product in any type of store environment. 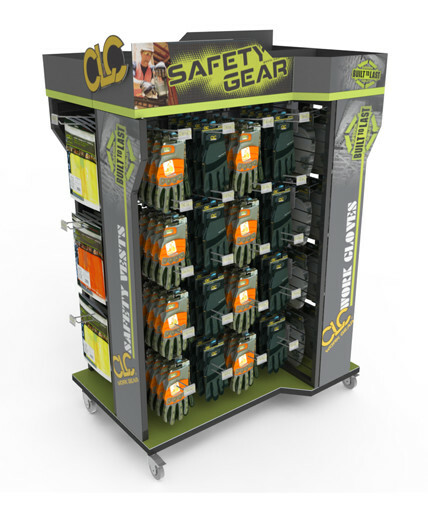 Not all retail fixtures are built to last, but this TAPCO display is combat-ready and can withstand the abuse that comes with high traffic shopping environments. 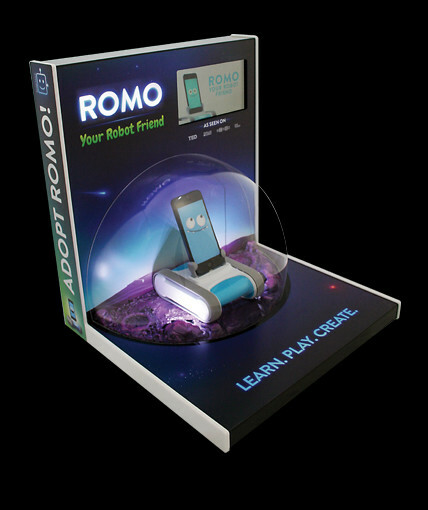 It can also be easily moved and wheeled to different locations within a store to take advantage of changes in store traffic or be utilized in promotional campaigns or seasonal programs. 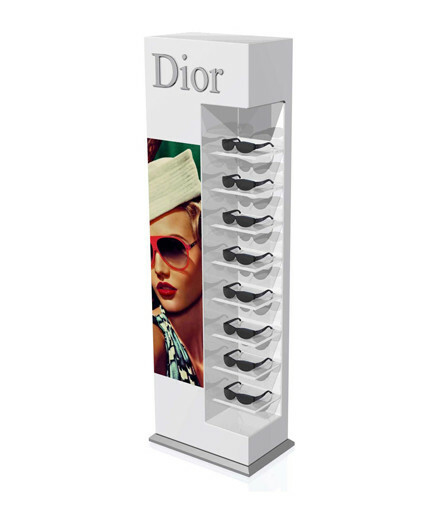 Similarly, the graphics on these displays can be easily changed to create a fresh look, and the powder coating can be customized to match any PMS color. 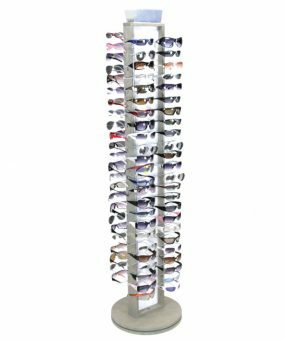 Category: Uncategorized Tags: point of purchase displays, retail displays, retail fixtures, store displays, Store Fixture, tapco accessories retail display Brand: TAPCO.